Cincinnati/Northern Kentucky International airport, in combination with the local Transportation Security Administration, is using live and empirical data to identify irregularities at the security checkpoint. Thanks to BlipTrack technology, the airport is now experiencing better resource utilisation and smoother passenger processing. In 2016, the airport achieved its best ranking in the history of the US Department of Transportation airfare report. It also experienced its highest passenger traffic volumes since 2005, with almost 7m passengers passing through this international transport hub. To keep the passenger experience positive, even as carrier and traveller numbers continue to rise, the airport implemented BlipTrack queue and flow technology at TSA checkpoints during 2014. The airport was the first in the US to utilise this solution, which allows it to measure, understand and improve the traveller experience, and to better plan and allocate resources in cooperation with the TSA. After one year of use, the airport was in a position to announce that, due to the data gathered via BlipTrack, it had successfully reduced TSA security line waiting times by one third. In a 2015 report produced by Purdue University, standard waiting times had dropped by nearly over four minutes from 13.2 minutes to 8.9 minutes, compared to 2011. Since then, the airport has gradually expanded the solution and added new features to help streamline operations further and continue improving the passenger experience. Passenger-facing waiting time monitors and CVGairport.com interfaces provide immediate waiting time status, thereby easing the travel anxiety associated with queue lines and setting realistic expectations. Additionally, the airport has gone so far as to establish service level agreement-like standards for self-accountability, ensuring average waiting times below 15 minutes are consistently delivered. For the second quarter ending June 2017, the average waiting time for expedited screening registered at 11 minutes 28 seconds. This is deemed significant, given the station’s surge in peak-day checkpoint throughput from 10,000 to over 15,000 during the same period. Delta Air Lines is set to deploy RFID baggage tracking technology, a first for any US carrier, thereby providing its customers with improved real-time tracking of luggage throughout the travel experience. This move is something of a milestone for Delta, which handles around 120m bags annually. RFID will replace the traditional barcode hand scanning, which has been the industry standard since the early 1990s. With RFID, scanners emit radio waves to capture the data stored on an RFID chip embedded in the luggage tag: the virtually foolproof technology will drive superior tracking and permit increased transparency within the operation. Thanks to RFID implementation, customers will be able to see their bags on and off the aircraft during their journey via push notifications to the Fly Delta mobile app. The implementation is due to get underway in the fourth quarter of 2016. A union representing some 27,000 airline catering employees has launched a national campaign, involving events in Chicago, Atlanta and Dallas, amongst others, aimed at leading airlines. Recent protests were held in major US cities by employees in the airline catering industry, deploring unaffordable healthcare. Workers claim their healthcare is so extortionate that many are consequently underinsured or uninsured altogether. A petition was delivered to representatives of United, American Airlines and Delta on behalf of nearly 12,000 workers at 31 US airports, who suggest that for just a nickel a ticket the airlines could resolve the issue. According to a 2014 analysis of nearly 10,000 contracted airline catering workers nationally, over 40% make less than US$10.10 per hour. Such low wages mean workers are unable to pay the premiums of “minimum value plans,” but are also unentitled to purchase more affordable options from health care exchanges. Some employees pay annual premiums for company offered healthcare of over US$1,400 for individuals and US$5,000 for families, in addition to an extra US$5,000 minimum deductible. As a result, many struggle to make ends meet: in the aforementioned survey, 25% of airline catering workers reported receiving some sort of public assistance. And while all this struggling is going on, the US airline industry is flourishing. American Airlines, for example, reported a record US$1.2bn net profit in the third quarter of 2014. Yet they, along with Delta, United and other airlines, continue to short change their catering staff. A 43,000 gallon jet fuel spill at the ASIG facility is posing a threat to coastal waters in Honolulu. The Hawaii State Department of Health, Hazard Evaluation and Emergency Response Office and the US Environmental Protection Agency have been overseeing response efforts since the leak sprung from a 2.8m gallon capacity above ground storage tank, which supplies jet fuel to Honolulu airport. ASIG is under strict orders from EPA to take measures that will stop contamination of further water or shoreline areas. The company’s recovery efforts include pumping the product from trenches and tank monitoring wells and so far approximately 16,000 gallons of fuel has been recovered. Efforts will continue to remove any released product, ensure the spill is contained and prevent an impact on State waters. The Health Department has said that the spill poses no risk to drinking water, but fuel has spread from the facility through subsurface contamination and is within 150 feet of the harbor. US-based cargo carrier Centurion faces yet another lawsuit, shortly after returning to action in December 2014. Aero Miami III, the carrier’s current landlord, is requesting that the airline be evicted from its facility at Miami International airport. In December 2014, Centurion was accused of owing more than US$10m in lease payments to AWAS subsidiary Pegasus Aviation Finance, which sought to repossess five aircraft operated by Centurion and its sister airline, SkyLease. The case was later resolved outside of court, and Centurion retained the aircraft, yet it is believed that Aero Miami filed its suit against Centurion the very same day. Centurion denies any outstanding rent payments on its 800,000 square foot facility, retaliating with counter-accusations that Aero Miami overcharged for services and criticizing US$9m worth of construction defects at the facility. The first hearing in Aero Miami’s eviction case was set for February 3, in Miami-Dade County Circuit Court. Next month, despite the ongoing legal disputes, Centurion has said that it is planning to relaunch its scheduled B747-400F Miami-Amsterdam service, to be operated by SkyLease. Centurion currently operates three MD-11F aircraft, while Sky Lease operates three B747-400ERF and a B747-400F type. US airlines have said that they are suing the Port of Seattle in order to block planned pay increases for airport workers. This is the latest legal battle over efforts to improve worker compensation in a state which currently boasts the highest minimum wage in the country. The Port commission agreed to raise salaries to US$11.22 per hour for January 2015, and improving this to US$13 per hour in 2017 for airport employees. However, Airlines for America has now filed a suit, arguing that these wage increases conflict with state and federal law, as well as existing labor agreements. The suit was joined by Baggage Airline Guest Services. For its part, the Port maintains that its commissioners acted within their authority when they agreed to the wage demands. It added that the move was aimed at reducing employee turnover. Although voters in the Seattle suburb of SeaTac approved an initiative last year that would enable a US$15 minimum wage for many workers, airport staff were subsequently excluded. However, in June this year, Seattle’s city council unanimously approved the US$15 per hour minimum. Mitchell International airport is to benefit from US$14.4m worth of improvements, including a new de-icing facility and upgrades to a runway, under a project recently announced. The de-icing facility has a more environmentally-friendly collection system and will allow the aircraft to de-ice closer to the runway, according to Wendy Hottenstein, who is the Project Manager with the state Department of Transportation. One runway at the airport has deteriorated over time and will be resurfaced as part of the project, she added. For the project the Federal Aviation Administration will contribute US$10.8m and the state and county will each contribute US$1.8m. The project is scheduled to begin late this year and should be completed by the summer of 2015. Also announced has been US$1.3m to rehabilitate a runway at Timmerman airport on Milwaukee’s northwest side. The FAA is contributing US$1.17 m towards this, with both the state and Milwaukee County each contributing US$65,000. Just a few weeks after securing a five-year contract to manage and maintain ULDs for American Airlines Cargo, Germany’s Jettainer has followed up its progress in the North American market with a new division, that of Jettainer Americas, which is located in Delaware. This new division plans to open other branch offices across the US, beginning with Dallas Fort Worth, which is the largest hub for AA Cargo’s parent, American Airlines Group, the world’s largest airline following its merger with US Airways. Jettainer, which had been handling ULD equipment and maintenance for US Airways since 2005, will now take on the management of American Airlines’ 15,000 additional ULDs. Other planned locations for Jettainer Americas will include Miami, New York, Chicago O’Hare and Los Angeles. The ULD handler will also be introducing ground operation supervisors at each location to manage all co-ordination efforts with the airline via its JettApp application, which can track the movements of each ULD. Los Angeles International has unveiled 40 new automated passport control kiosks at the Tom Bradley International Terminal to expedite the entry process for international passengers. The new kiosks can be used by both American and Canadian citizens traveling from abroad, as well as travelers from 38 Visa waiver countries registered with the US Customs and Border Protection’s ESTA program. These facilities will allow passengers to submit their customs declaration forms and biographic information electronically, which will help in reducing time spent at the CBP office. Passengers will also have an option to select one of 13 languages as they pass. Easy-to-follow instructions will help the scanning of passports, taking a photograph using the kiosk, answering questions and fingerprinting for non-US citizens. With Ebola making headlines around the world, it’s perhaps not surprising that aircraft grooming staff have concerns for their welfare. That concern manifested itself a few days ago in New York. There, around 200 Air Serv cabin cleaners set up a picket outside a LaGuardia airport terminal over health and safety issues. Citing an unsafe working environment, one that puts them at risk from passenger by-products, they are looking to form a union. Part of their worry concerns the increasing pressures on them to clean an aircraft thoroughly in a very short period of time, something that they argue is unrealistic. Cincinnati/Northern Kentucky International airport has just installed a total of six L1 PowerPost Level 1 electric vehicle charging stations from Telefonix, a developer of cord reel technology and manufacturer of the PowerPost commercial electric vehicle charging station product line. The PowerPost EV charging line features beneficial advantages to airports that include patented retractable cord reel technology, low energy usage and EVSE compliance with the Americans with Disabilities Act that can help airports become ADA-compliant. In consequence, the station joins other major US airports that have installed L1 PowerPost commercial electric vehicle charging facilities, which include Denver International and Greensboro International. 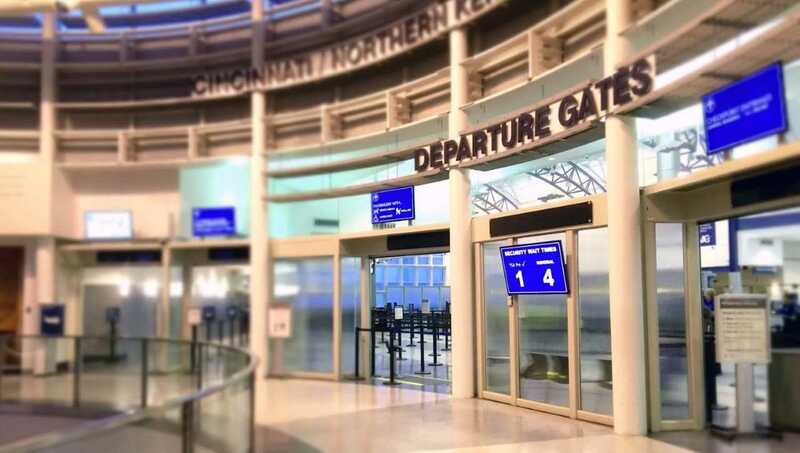 According to The Columbus Dispatch, United was seeking to make redundant some 100 workers at Port Columbus at the beginning of October, transferring their union jobs to outside vendor Airport Terminal Services who, it is alleged, will actually offer lower contract wages. The move has been part of a series of United lay-offs at a dozen airports in the wake of cost-cutting measures; such initiatives have been common over the last year or so, as airlines have struggled to make a profit. Other airports where United will also be outsourcing union jobs include Buffalo, New York; Detroit and Charlotte, North Carolina: it is understood that these proposals will affect 600-700 workers. Union worker wages typically range from US$12 an hour to US$25 an hour, but reports suggest that the new incumbent will be paying around US$8.75 an hour. “This is a trend, as air carriers continue their quest to manage costs and operate profitably,” commented David Whitaker, the Columbus Regional Airport Authority’s Vice President of Business Development. Currently, American, US Airways and Delta Air Lines all outsource to some degree their ramp and passenger services jobs at Port Columbus, he added. The shift echoes that of Europe, where the outsourcing of ground handling labor has reached high levels. JBT Corporation has announced that it has been awarded nearly US$6m in contracts to supply airside gate equipment for the Terminal 3 expansion at Cancun, Mexico International airport and as retro-fit components for existing gates. The orders, placed by Oversys, include Jetway passenger boarding bridges, JetAire preconditioned air units and Jetpower 400 Hz ground power devices. Alaska Airlines and the Association of Flight Attendants have announced that they have reached a tentative agreement on a new five-year contract for the carrier’s 3,300 flight attendants. Once the agreement is approved by the union’s leadership, Alaska Airlines’ flight attendants will conduct a ratification vote that is expected to be completed in December. Under the Railway Labor Act, which governs collective bargaining agreements in the airline industry, contracts do not actually expire but become amendable instead. The previous contract became effective in 2010 and was amendable in May 2012. Menzies’ Simplicity ground handling product has ousted the SkyWest Airlines operation with United at Denver International, with the loss of over 600 jobs. Menzies was successful in its below-the-wing bid for the carrier after the airline had revealed that the incumbent had experienced problems with on-time reliability. The win marks another step forward for Simplicity’s presence in the US. Yingling Aviation recently purchased the assets of the aviation de-icing company, ICT Aviation Services, in order to enhance its service offering. Thanks to this acquisition, Yingling will now be able to furnish de-icing and anti-icing services at Wichita Mid-Continent airport. Contracts have been signed with airlines operating at the station and it is envisaged that the contracts will allow Yingling to de-ice commercial aircraft at the station whilst being on hand to provide a back-up service, as and when required. Anything up to a B767 will be accommodated and included in the sale were two de-icing rigs. The de-icing season at Mid-Continent typically runs from October to April, so this is seen as a useful adjunct to the company’s main portfolio: both Type 1 and Type 4 fluids will be available. According to a new ranking of global airports, Atlanta International has come out as the most efficient airport in the world. The report was compiled by a team of international aviation academics at the University of British Columbia’s Sauder School of Business. 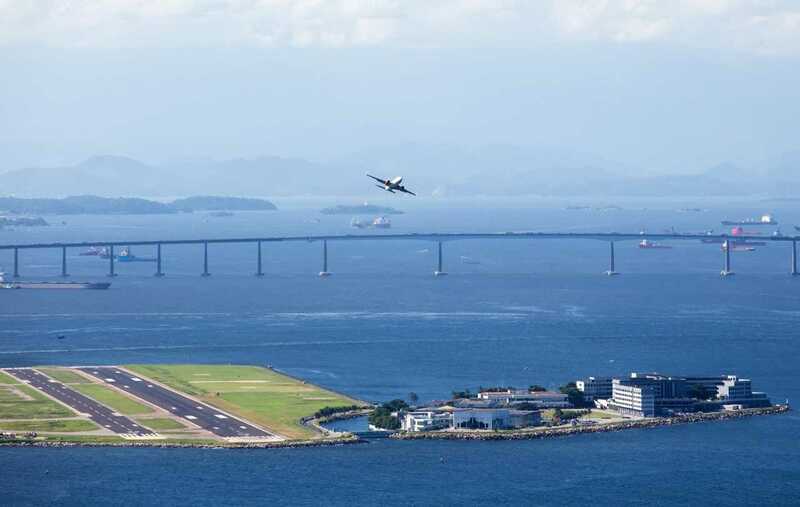 In the study, the ATRS Global Airport Benchmarking Report compares the operational and management efficiency, as well as the cost competitiveness, of 200 airports and 26 airport groups around the US, Europe, Asia and Oceania. Atlanta was followed by Douglas International in second place and Minneapolis in third in the rankings: these constituted the category with over 15m passengers per annum. For airports under the 15m passenger mark, Oklahoma came out on top; Calgary took the runner-up position, with Raleigh-Durham making third place. In Canada, Vancouver took first place, followed by Victoria and Calgary. “Our report finds that the highly efficient airports are more likely to generate a large share of total revenues from concession and other retail activities in terminal buildings, as well as parking, office rentals and real estate development on airport lands,” commented UBC Sauder School of Business Professor Tae Oum, who led the study. Air BP has confirmed an agreement that will see it purchase the aviation fuel business Statoil Fuel & Retail Aviation from Canadian company Alimentation Couche-Tard. The deal will add around 73 new airports in the Nordic countries and Northern Europe to Air BP’s 600-strong global fuels network. The deal, which is subject to regulatory approvals, is expected to close by the end of 2014. On completion, around 59 SFR Aviation employees, currently based in Norway, Sweden and Denmark, are expected to join Air BP. United Airlines has said that it is preparing to lay off 109 staff at Detroit Metro airport and outsource their job functions. Those affected include 51 customer service representatives, 49 ramp workers and various other positions. The redundancies are expected to be implemented at the start of October; United announced the terminations in a notice filed with state officials. The carrier said that the restructuring was needed so that it would have “sustainable financial success and run an efficient and reliable operation.” The notice did not identify the new vendor or specify whether the workers would be able to find re-employment. Delta Air Lines has unveiled ten new passport kiosks at Los Angeles International to enhance its customers’ level of convenience. The kiosks are located at Terminal 5, which is currently undergoing a US$229m renovation. Delta thus becomes the first carrier to offer kiosks at this station: its competitors, such as American Airlines and United Airlines, have delayed installation at their respective terminals because of the ongoing airport renovation work. The new kiosks are part the company’s plan to reduce waiting times for those requiring passport and customs clearance. India is again proving a tough testing ground for foreign handlers. The latest attempt by Universal Weather & Aviation to handle there has been unsuccessful, even though it tried to form a joint venture company in India in order to offer its own ground handling services. The irony is that this Houston-based company is no stranger to the Indian continent, having provided trip support for the past decade; moreover, its agents have acted in supervisory rôles for the local handlers that it uses. According to the Indian government, a hundred percent foreign equity is not allowed when it comes to ground handling providers. The JV was applied for some 12 months back and only now has the company been notified that the application has been denied; employees of the joint venture (which is known as Universal Aero Flight Services India Private) will not therefore be granted ramp access. JBT AeroTech has been awarded a contract exceeding US$8m to supply gate equipment for the Wichita Mid-Continent airport. The order, placed by the Wichita Airport Authority, includes glass-sided Jetway passenger boarding bridges, JetAire preconditioned air units and Jetpower 400 Hz ground power units. As such, it represents one of the largest orders for glass-walled boarding bridges in the US. At the end of July, Servisair and Teamsters Local 419 finally ratified a collective agreement for members working at Toronto Pearson International airport. The new collective agreement will assure a continuation of service for both the traveling public and commercial cargo operations. The agreement was reached with some assistance from the Labour Program’s Federal Mediation and Conciliation Service: this provides dispute resolution and dispute prevention assistance to trade unions and employers under the Canada Labour Code. Were you aware that Sea-Tac’s key export is the humble cherry? This year has been exceptional in terms of the crop yield, with experts saying that it is the second best year ever. That, in turn, has created many opportunities for extra cargo flights. Eight cargo airlines that use freighters have carried cherries this summer out of Seattle, in addition to the conventional belly cargo carriers. Amongst the carriers that have added capacity are EVA, Asiana, China Eastern, China Airlines, Korean Air and Nippon Cargo: all have all added extra flights or charters. At the time of writing about 22m, 20 pound boxes of cherries had been filled – with more to come. Delta Air Lines has cancelled a multi-year contract with BP with a view to exchanging refined fuels from Delta’s Trainer refinery for more jet fuel. This comes in the wake of a product exchange contract between Delta’s subsidiary Monroe Energy and BP, which was terminated at the start of July. Delta has said that it has replaced BP with another, as yet unnamed, party. The airline added that the termination was early, but it did not say when the contract had been due to expire. When Delta bought the 166,000 barrel per day Philadelphia refinery in mid-2012, it struck several agreements to supply crude and buy its refined products, thereby reducing its need to trade directly in the oil market. One of those was a multi-year agreement with BP, which was to buy some of the refinery’s non-jet fuel products, such as gasoline and diesel, and sell jet fuel back to Delta. It struck a similar deal with Phillips 66 to swap Trainer’s refined products for more jet fuel. The SEC filing made no mention of another agreement from 2012, that of a three-year deal under which BP was to supply crude oil to the refinery. US Customs and Border Protection recently extended its Air Cargo Advance Screening pilot program for a further year, following representations from freight forwarding representatives. It has also reopened the application period for new participants. In fact, the pilot scheme was set to expire in July but will now be extended until 26 July 2015. The program, which analyzes advance data on inbound air shipments to the US in order to assess the level of risk, is currently in its pilot phase, although US Customs and Border Protection has indicated that over time it intends to expand it to apply to all inbound air cargo. Philadelphia is the latest airport to start looking at wage rates and remuneration for its staff. Despite the fact that an executive order was signed some weeks ago by the town’s mayor, at the time of writing no tangible progress had been made in moving the statutory wage from US$7.50 an hour up to US$10.88. The order actually applies to any bids or proposals issued after May 20, and starting January 1, all proposals and contracts will include a US$12 an hour minimum wage requirement. However, city officials have said that they cannot enforce current contractors and subcontractors to pay the minimum wage until new contracts are signed. In the interim, the service employees union, SEIU 32BJ, which represents the airport workers, is pressurizing City Hall and airlines to force subcontractors employing cabin cleaners and wheelchair attendants to comply with the order. Mass cargo handling: cause for concern? The coming Air Cargo Advance Screening Program has had a lengthy gestation but there are still those who are worried that testing has not been as thorough as it could be. In this respect the Airforwarders Association, the National Customs Brokers and Forwarders’ Association, the Express Delivery and Logistics Association and The International Air Cargo Association have all contacted the TSA and the Customs and Border Protection to voice their fears. The problem seems to revolve around the fact that whilst ACAS has been operating as a pilot program, it has only been with a very small number of forwarding companies, and working out of a limited number of locations. There is, though, plenty of evidence to suggest that Congress is keen to see the ACAS concept adopted, despite the fact that further testing may be desirable. 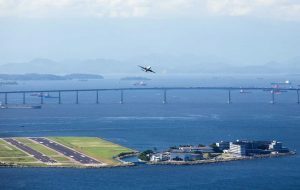 Come August, travelers passing through São Paulo International in Guarulhos who are over the age of 18 and have an electronic passport will be able to take full control of their terminal experience. This will be made possible through the automated border control eGates that are being installed in terminals 2 and 3 at the airport. These work through the expedient of facial recognition and secure documents to provide passengers with an autonomous experience that is divorced from contact with the federal police. And if it is successful in its bid, will a traveler be more likely to opt for the Delta experience in the future? Air Transat has become the first US carrier to complete the initial stage of IATA’s Environmental Assessment (IEnvA) Program. The voluntary program is based on the core principles of compliance with environmental obligations and a commitment to continual environmental management improvement. Adopting the standard IEnvA procedures and recommended practises, says IATA, allows an airline to focus resources on improving its environmental performance rather than having to develop an Environmental Management System from scratch. The actual program follows a two-stage implementation approach which involves a detailed assessment of flight operations, corporate and management activities that allows for early recognition of environmental management achievements. In this manner Air Transat joins the likes of Finnair, South African Airways, LAN, LAN Cargo, Malaysia Airlines and Kenya Airways as the only airlines so far to have achieved Stage 1 certification. American Airlines Group has said that it has reached a tentative agreement with mechanics and ground workers at its partner US Airways. The airline confirmed that the three-year contract agreements will be subject to member ratification and that they will cover 11,000 workers who are represented by the International Association of Machinists. This union, it should be noted, was the only labor group at US Airways and American Airlines that did not publicly support the merger. The Transport Workers Union represents both mechanics and ground workers at the pre-merger American Airlines. The machinists and the transport workers had previously agreed to represent the work groups jointly after the merger, and after the machinist groups had received a new contract. The US’s largest carriers posted an on-time arrival rate of 79.6% in April. This represented an improvement on both the 77.3% on-time figure recorded in April 2013 and the 77.6% on-time rate posted in March 2014, says the latest US Department of Transportation’s Air Travel Consumer Report. The reporting carriers canceled 1.1% of their scheduled domestic flights in April: this was down from both the 1.8% cancellation rate posted in April 2013 and the 1.9% rate declared in March 2014. Global businesses are set to benefit as Montevideo in Uruguay and Santa Domingo in the Dominican Republic are added to IAG Cargo’s worldwide network, which comprises more than 350 destinations in total. Flights to the two new cities will start on September 1 and will build on the strength of the IAG Cargo network in Latin America, which will grow to 16 destinations. The new routes will be served from IAG Cargo’s hub in Madrid by Iberia Airbus A330 and A340-300 aircraft. Each flight will deliver between 9.4 and 12.7 tonnes of capacity on the Madrid–Santo Domingo route, and between 6.5 and 11.7 tonnes of capacity on the Madrid–Montevideo route. The National Air Transportation Association, along with the International Business Aviation Council, has announced the creation of the International Standard for Business Aircraft Handling (known as IS-BAH). This represents a set of global industry best practices for business aviation ground handlers, at the heart of which lies a safety management system. The IS-BAH follows the long-established structure of the International Standard for Business Aircraft Operations Program and incorporates NATA’s Safety 1st Ground Audit Program. IS-BAH is set to provide standardization to handlers and operators around the world to meet the coming SMS requirements that have been mandated by the International Civil Aviation Organization. Integrated De-icing Services and GTA Aviation have announced the formation of a strategic agreement to develop new business opportunities within Canada. Both companies are industry innovators, with IDS widely considered as one of the most technologically advanced independent providers of de-icing/anti-icing services. The company is presently de-icing aircraft at 15 airports in the US and Europe. IDS also operates the largest fleet of forced-air de-icing trucks in the world and has twice earned a spot on the Inc. 5000 list of America’s Fastest Growing Companies. GTA is a leading global distributor of high quality ground support equipment. The Canadian company offers a wide variety of new and refurbished ground handling equipment to airlines and airport authorities in dozens of countries. Better boarding: time for change? What’s the best way to board an aircraft? It’s a thorny issue, and probably one that has dogged the sector’s logistics experts for many a year. A recent survey from the GO Group has found that the most favored method, at 55% of the vote, was that of boarding from the back. This was deemed most efficient of all, along with boarding from window seat to aisle seat, although there were other methods suggested. Almost 300 people were sampled for the study, which was conducted in response to news some airlines have been testing boarding from back to front as well as outside in, with window passengers first, then middle seats then aisles. Other suggestions included a desire that carry-ons be placed in bins above the owner, rather than being scattered around the cabin. Random boarding was also put forward as a method worthy of adoption, on the basis that everything is spread out and therefore bottlenecks would not occur.